Alright, is it just me? I am having such a hard time getting going. Totally not motivated to do anything. Like I didn’t fold laundry for a week (so not the norm! ), we all just walked over the mountain until yesterday when I snapped. Yes snapped. Hubby knows the “look” I rarely get, basically “get the hell out of the way, our place is a freaking disaster and I am cleaning.” Funny that he and kiddo “hide” in our room while I cleaned, dusted, folded, put crap away, etc. It’s all good, it’s not the norm. 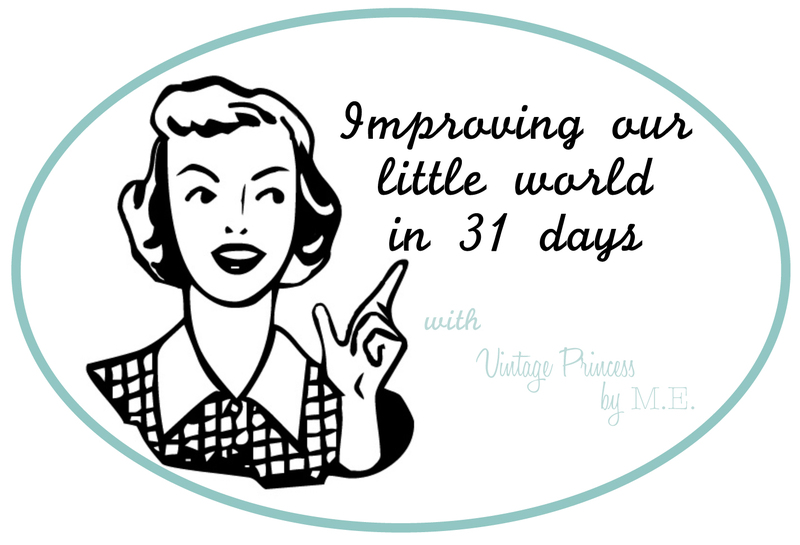 We are taking a break today from the canvases, because, well they are not done and I want to share a recipe and a trick I have learned in the past year of being vegan. Can you believe it, it’s almost been a year of being vegan, amazing! 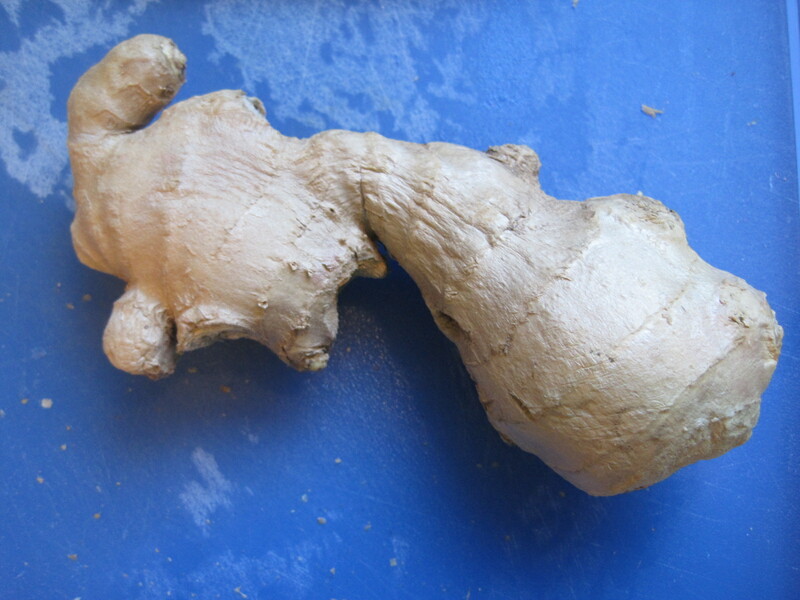 When you get the ginger home, peal it and cut it into roughly 1″ pieces. 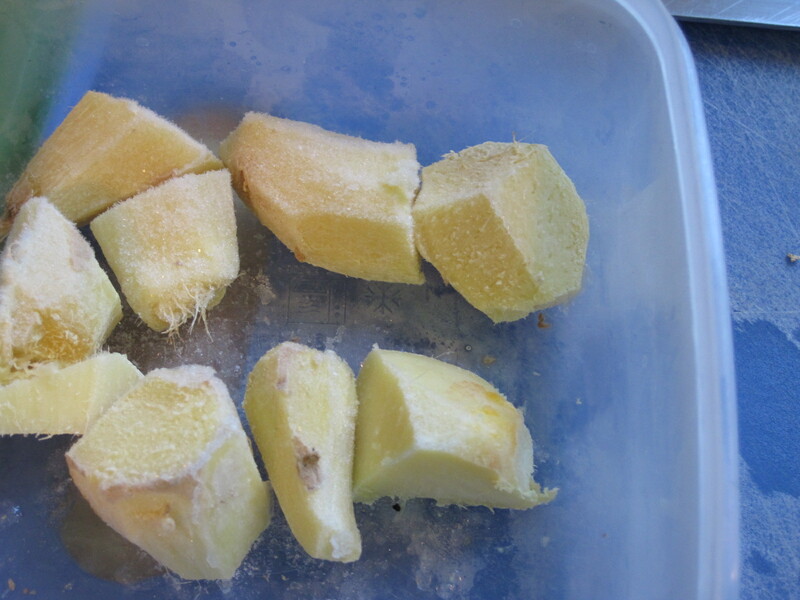 Put all the pieces into a container and pop it in the freezer. 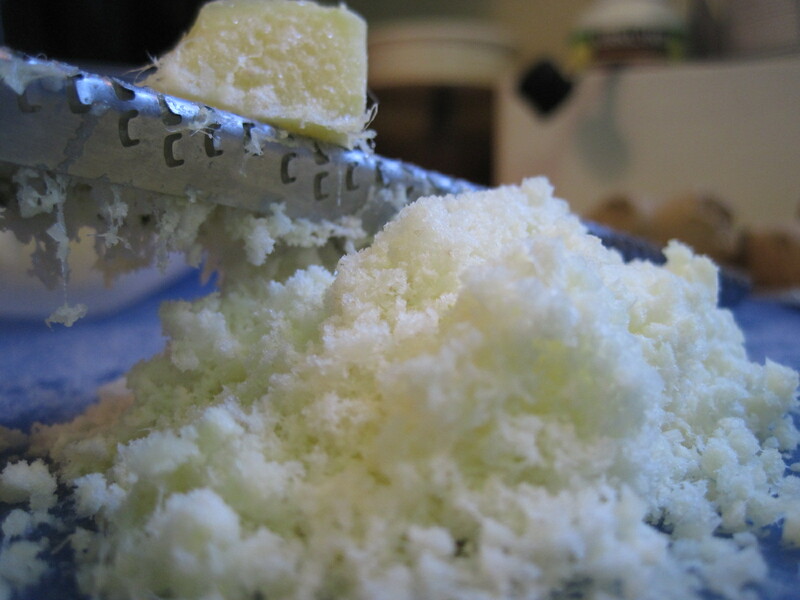 When you need ginger simply take it out and grate it, I use a micro-plane, into your dish. 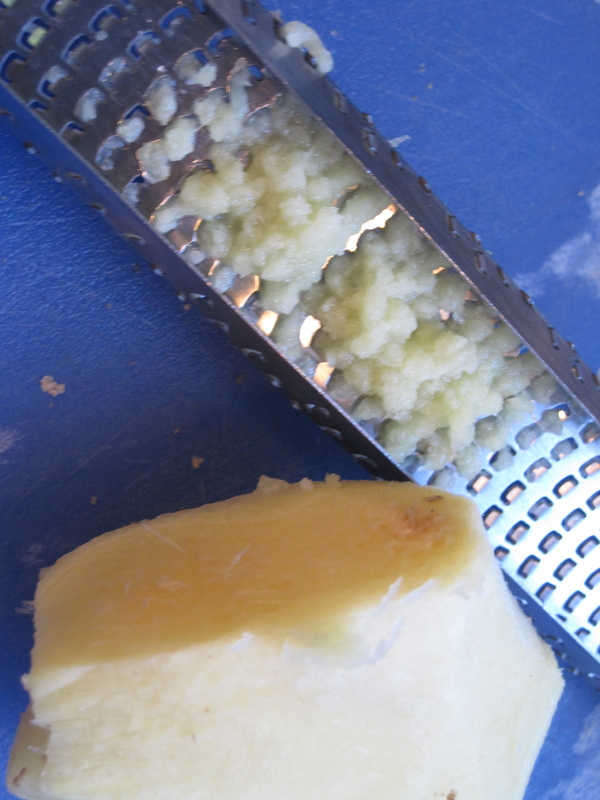 Above you can see grating un-frozen ginger is a bit messy and you don’t get as much ginger. *** I like to use canned tomatoes, you can find ones with out all the chemicals and sugars added, sometime even the herbed ones and whirl them in the food processor to make a sauce. 3. Add tomate sauce and lentils, stir to combine, let simmer for 15-20 minutes, until thickens up a bit. Add rice, lime zest & juice and chopped cilantro, stir, simmer for about 5 minutes. Serve and enjoy! I guess I should have taken a photo of the Curried Lentils but I was too busy eating to do that, and honestly they don’t really look all that pretty but they sure are tasty! great tip…I will be adding this to our meal menu plan asap!